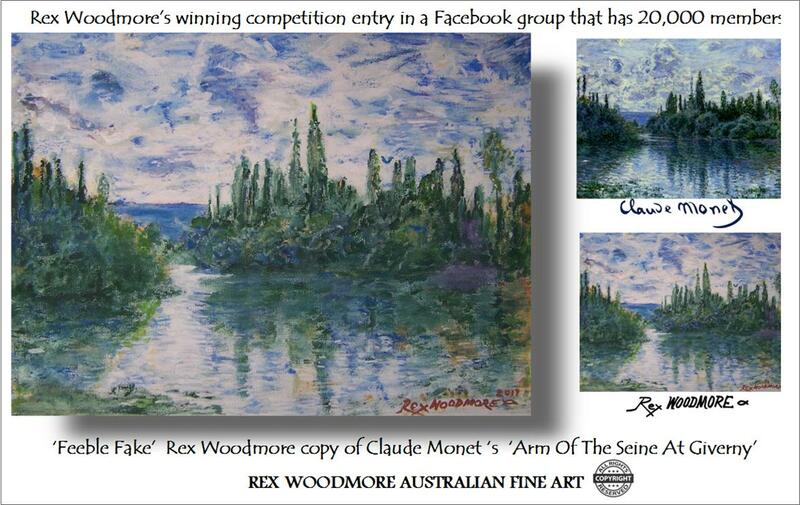 People in Australia, England, Taiwan, America and Italy & other places (noticeably in the publishing & music industries) have my original paintings for their own enjoyment or have used digital images for promotional purposes in their own work. 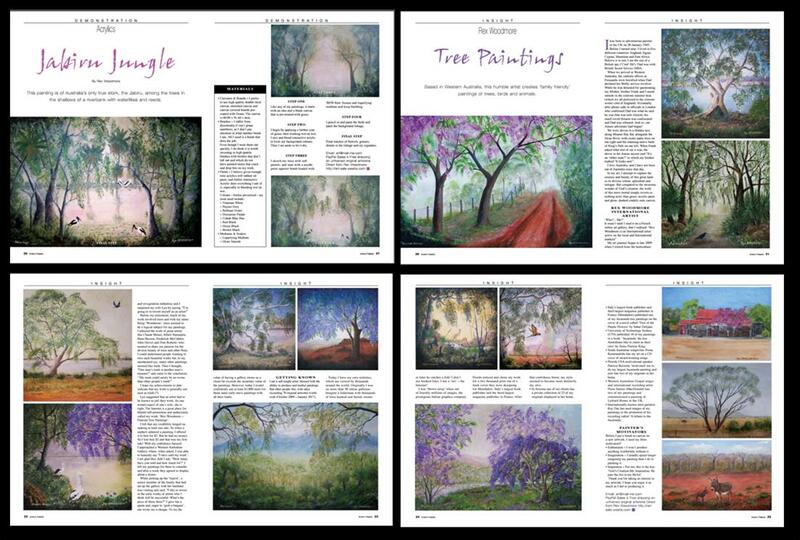 I’ve was given 8 pages in Artist’s Palette (An Australian magazine) 27th March 2017. 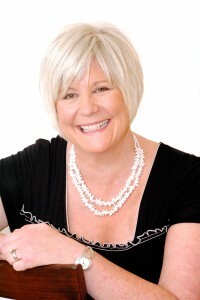 Thanks to the people at Woodlands Publishing. 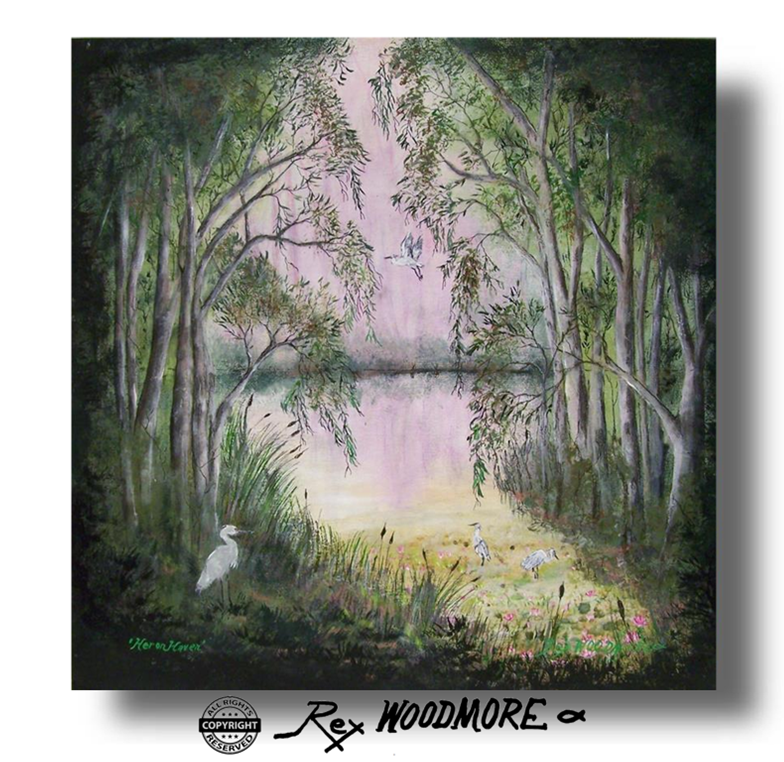 ​It was a pleasant surprise, to be approached from genuine people from a publishing company wanting my art, rather than my money. 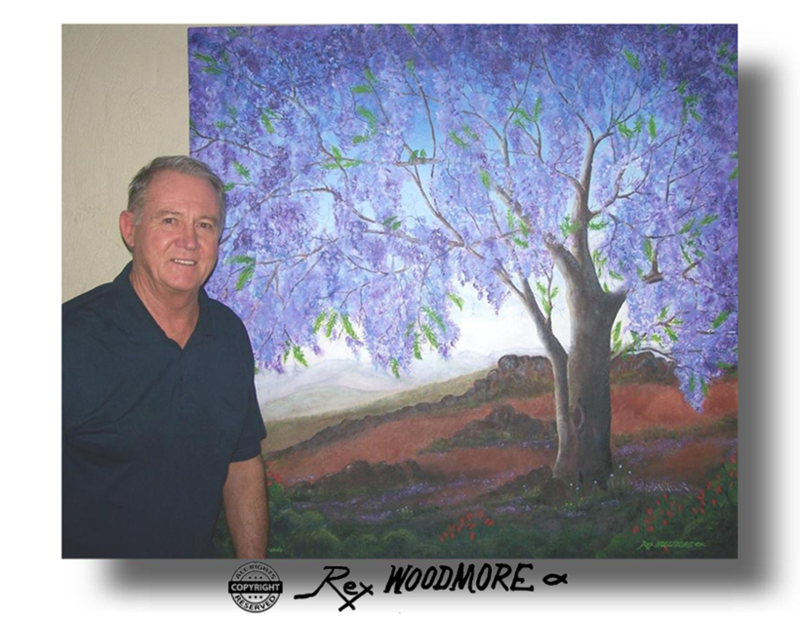 Magazine article on Rex Woodmore's art. 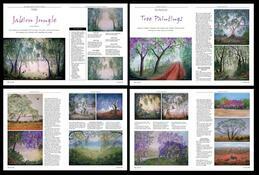 Ten of my Jacaranda paintings published. 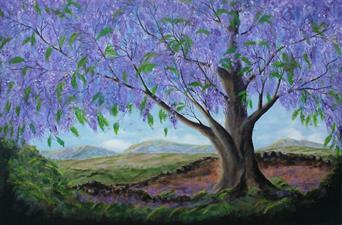 ​ Ten of my Jacaranda paintings are featured in a thesis on Jacaranda trees, written by Anne Therese King. 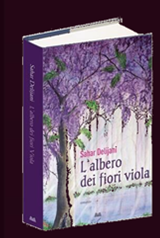 Some of my paintings depicted in the thesis are still currently available. 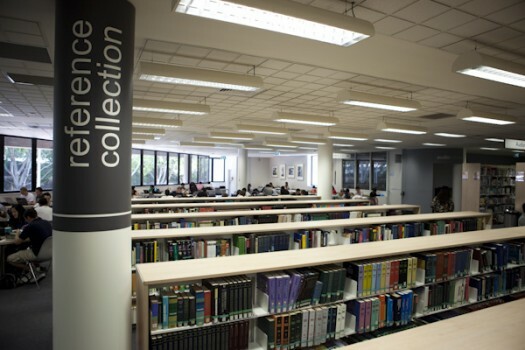 UTS Library - Where images of my Jacaranda tree paintings can be found. 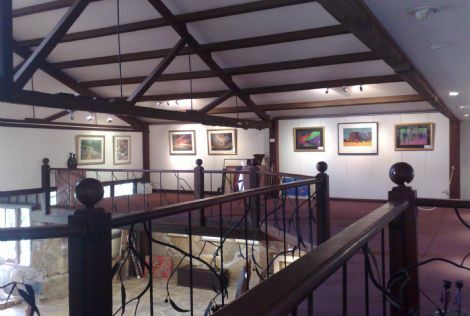 ​ In Yuma Arizona, Wendy Castleton has a private collection of my art, in her home, with twenty eight of my original paintings . 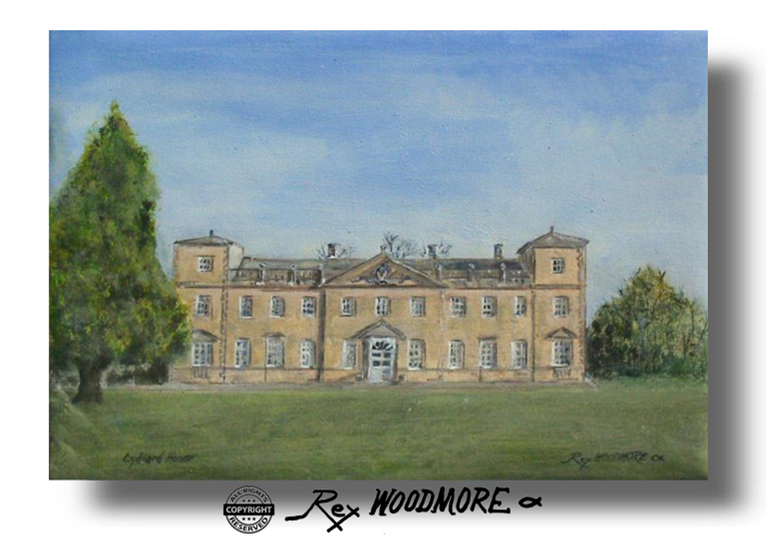 'Swing Scene' ‘Country Cottage’ & ‘Feral Fun’ are in the collection of Gospel singer & International recording artist Flora Santos (MacDonald), who has also given my paintings as gifts to friends: ‘Lydiard House’ as a gift to a relation in England. ​Waterfalls Homestay, to her friends and owners of the Homestay in Ella, SriLanka. 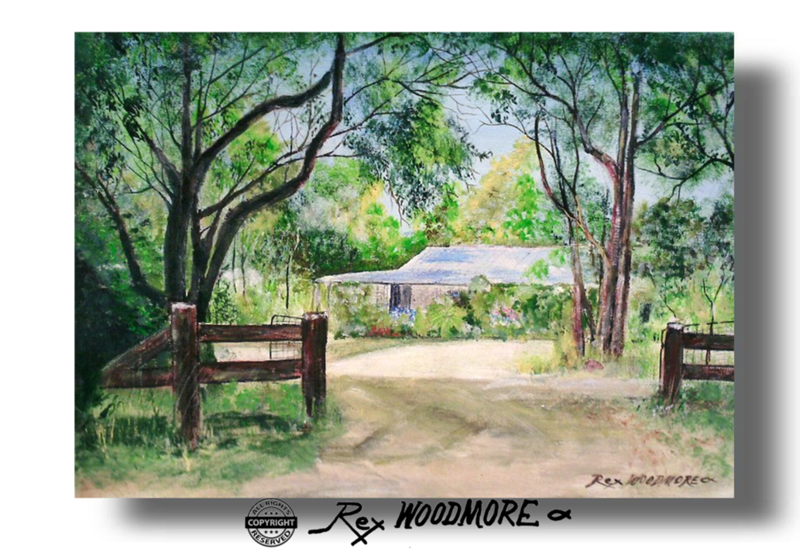 ABOVE: Lydiard House, Country Cottage, Feral Fun, Swing Scene, Waterfalls Homestay. 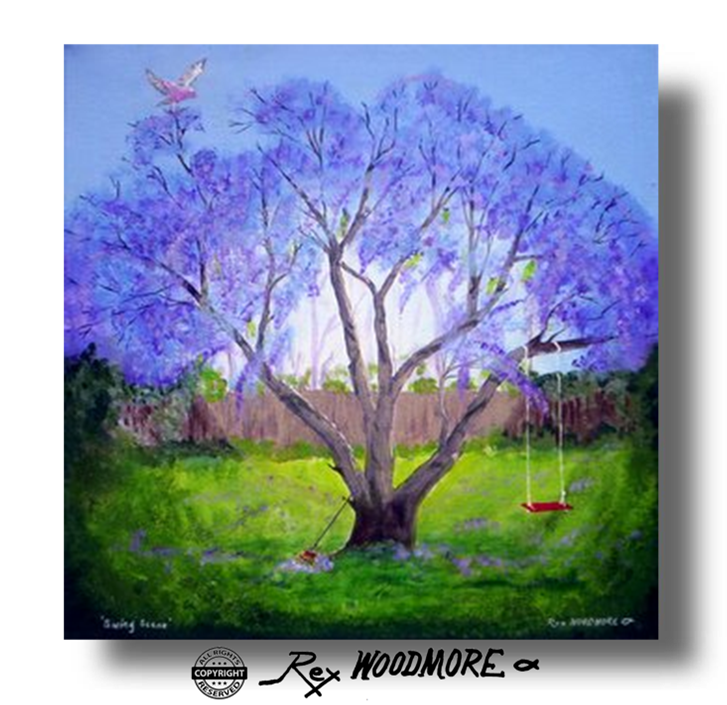 ’Cheerful Choice’ used in association with ‘A tribute to the Jacaranda’ instrumental music on steel guitar from the CD "Hawaiian Shadows" put to Music on YouTube by Kay Das. 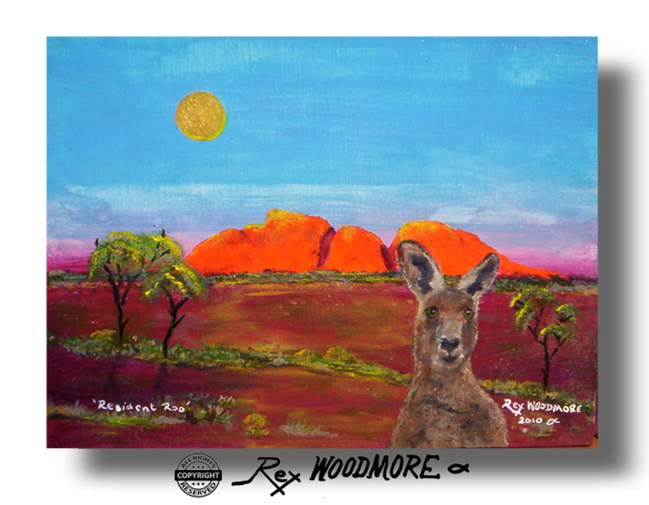 ​’Outback Oddity’ is on the cover of a mini EP 'From out of nowhere' Award winning Australian country songs written by ​South Australian Songwriter Fiona C Karamanlidis. 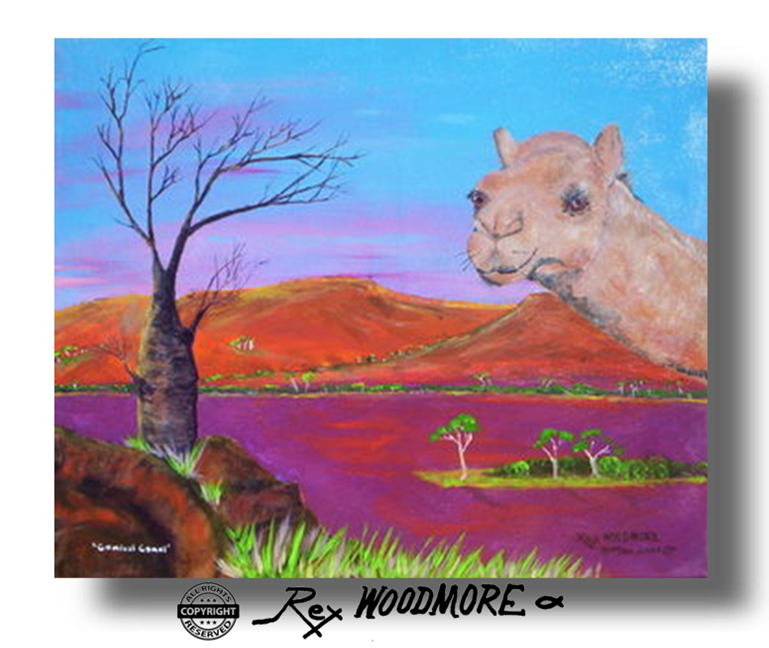 ​‘Comical Camel’ is amongst several of my very first naïve works in the private collection of the late Ruth O’Neil who began Waterwheel Art Gallery with her husband in Bedfordale, Western Australia. 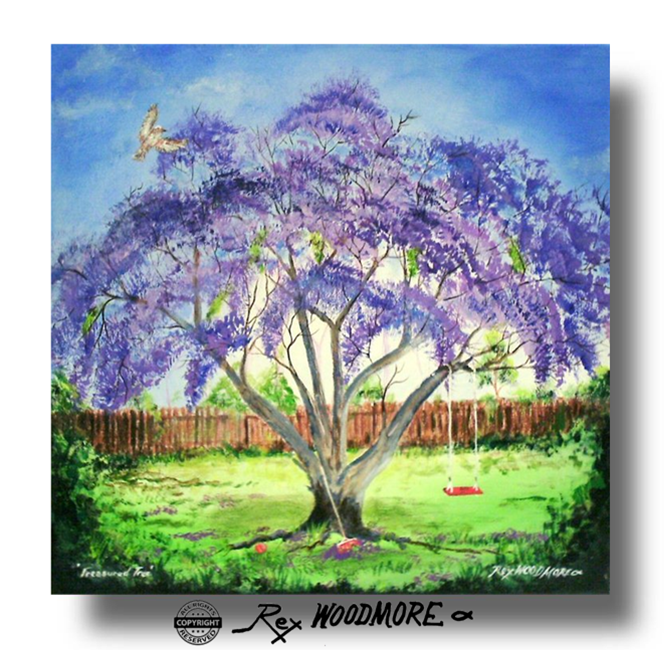 ....motivates me to produce my biggest Jacaranda painting!